Like most automakers, Hyundai’s lineup is now flooded with crossover SUVs ranging from the subcompact Kona all the way up to the 7-passenger Palisade. It was the Santa Fe, however, that started the brand’s foray into the world of jacked-up, all-wheel drive, hatchbacks we now call crossovers. 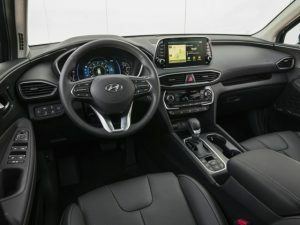 Even though it is positioned in a higher size and price category than the slightly small, yet highly popular Tucson, the Santa Fe remains an important player. In fact, for those who prioritize space, it may prove to be a perfect fit. The Santa Fe is now officially a midsized crossover, which means that it is sized to complete with the likes of the Nissan Murano, Ford Edge, and Honda Passport. With its lower price point, however, it could still be cross-shopped with the slightly small offerings such as the Honda CR-V, Nissan Rogue, Subaru Forester, and Toyota RAV4. 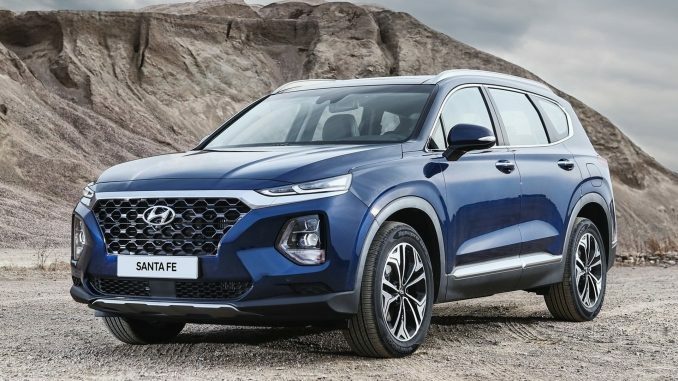 The Santa Fe adopts Hyundai’s latest styling language with a more square-shaped appearance than previous versions for additional interior space. Still, I’m not sure the details, such as the aggressive-looking light design, are quite as effective here as it is on the Kona or Palisade. The interior is well-finished, though far more utilitarian than upscale in overall appearance, with the exception being the rather tasteful-looking linen-like headliner material. The centre stack consists of a straightforward touchscreen infotainment system along with an assortment of easy to use buttons and knobs for common tasks. Interior space is quite generous both up front and in the back where passengers can even slide or recline the seats for extra comfort. The cargo area is spacious as well and includes useful storage trays under the floor as well as push buttons to collapse the rear seats. Like most crossovers, driving the Santa Fe is a rather pleasant, though uneventful experience. The ride is comfortable enough for long drives and sightlines are quite good all-around thanks to large windows and a high seating position. The base Preferred model come with front-wheel drive, with all-wheel drive standard on all other models for some added surefootedness and stability on slippery roads. On the safety front, all models except the base get forward collision avoidance, adaptive cruise control, lane keep assist, and driver attention warning. Higher models add blind-spot monitoring with rear cross-traffic avoidance assist, but my favorite added features are the surround view backup camera and the safety exit assist which alerts you to oncoming traffic before opening the door. The Santa Fe’s optional 2.0L turbocharged 4-cylinder engine produces 235 horsepower and 260 lb-ft of torque. Despite the strong numbers, the power never really feels any more than adequate and even a little lazy thanks to an 8-speed automatic transmission that shifts in a leisurely manner. The mechanically simpler 2.4L engine that comes standard on lower trims will likely get the job done just as well while slightly improving the 2.0L turbo’s disappointing fuel economy numbers. I averaged around 15.0L/100km around the city and could do no better than 10.0L/100km on the highway. Most competitors with equally powerful turbocharged engines will manage noticeably stronger numbers. At least it has a respectable 3,500 lbs towing capacity. For an MSRP of $28,999 the Preferred FWD model includes features such as a 7 inch touchscreen with Apple Carplay and Android Auto capability, heated front seats and a heated steering wheel. Adding the SmartSense Package bumps that to $30,199 or $32,199 with all-wheel drive. The model range tops at $44,999 for the 2.0T Ultimate, which includes desirable features such as an Infinity premium audio system, head-up display, wireless charging pad for smartphones, proximity-activated smart lift gate, and a large panoramic sunroof. 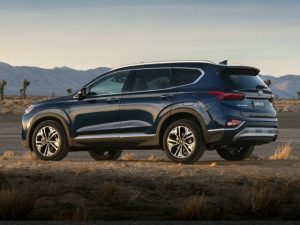 That’s quite a bit of money for a Santa Fe, but it is well-equipped, and Hyundai is often good for sales incentives to sweeten the deal. Although the Santa Fe is not quite the bargain hunter’s dream it once was, it has made huge strides in terms of refinement, technology, safety, and quality in order to justify a higher price point than previous iterations. Compared to many of its rivals, the Santa Fe still comes off as good value for money when you factor in the high feature content, additional space for passengers and cargo, and a lengthy 5 year or 100,000km comprehensive warranty. It’s not perfect, but those shopping for a value-packed crossover with spaciousness as a priority should definitely give this one a look.